Metabolic training is designed to maximize your calorie burn and boost the metabolic rate during the training session and after it. In consists of various compound and structural exercises – they require a lot of energy, because many joints and muscles of your body are involved in the movements. It also implies having very little rest in between exercises. This type of workout is usually based on anaerobic exercises, so after the session you should end up sweating and breathing heavily (if you don’t, maybe something went wrong). However, although many people fear it, if done right, metabolic training can bring you a lot of benefits: prepare you for further high-intensity workouts, give you a longer calorie burn even after the training (you’re not exercising, but the calories are burning – is this magic? ), help you build muscle mass, and improve your overall fitness level. 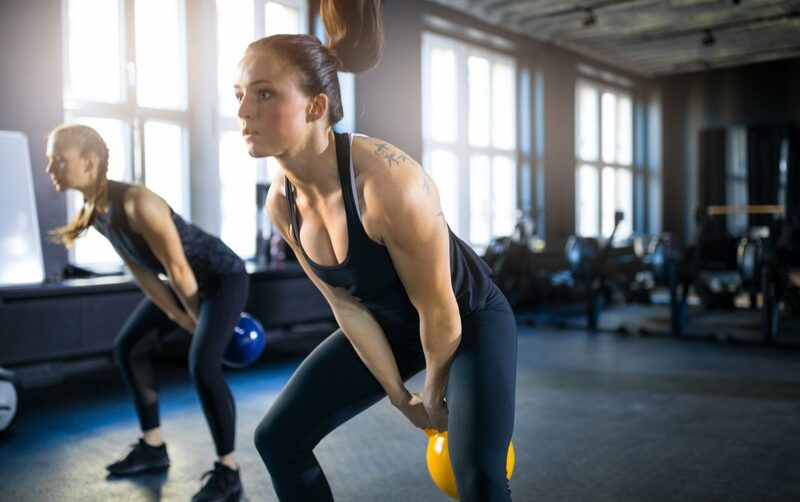 Simply speaking, the goal of a successful metabolic training is to complete a large amount of fitness routine in a short period of time, paying attention to your body and well-being. Before digging right into the action, take a few minutes for a short warm-up. Do the exercises one after another for 20-30 seconds per each, at low or medium intensity. Feel free to add your favorite warm-up exercises to this routine. Swing your arms forwards and backwards, trying to slightly relax and loosen up your muscles. Warm up your legs by doing the squats, but remember to pay attention to your breathing – it’s going to get harder very soon! Get your hips to work – shift your body weight from one side to another, but keep it on your heels for the stability. 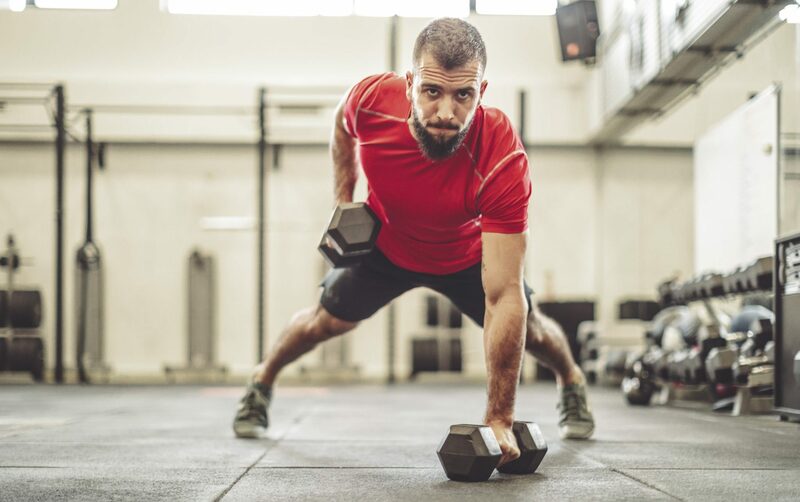 Metabolic training implies engaging multiple joints and muscles for almost every exercise – it means this is a high-intensity workout, so we ask you to carefully look at the regressions (they are noted after each exercise). To ensure safety, pay attention to your well-being during the session, but if you’re feeling normal, try to respect the rest intervals (remember, you should have as little rest as possible in-between the sets). Do each of this metabolic exercises for 30 seconds, now trying to do that at the highest intensity you are able to safely maintain. Have a 30-seconds rest after each movement, then move onto the next one. This workout takes around 8-10 minutes – just enough for the start. If later you will feel the need to extend your exercise routine, try repeating this workout with a 5-minute rest between the sessions. 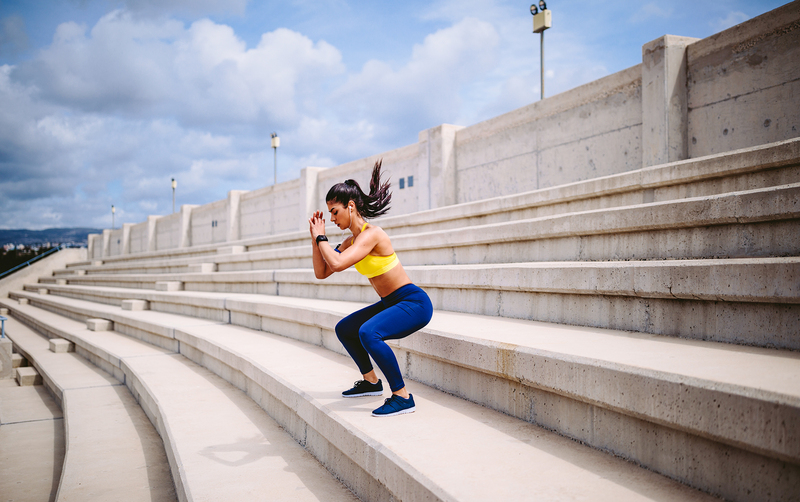 Lower down the squatting position while lowering the ball to the outside of your right knee. Extend at knees and hips, putting the ball up to the left (squeeze your glutes on top to avoid arching your back). After 30-seconds work on this side, have a 30 seconds rest and repeat the movement for the other side. Start at a squatting posture, thighs parallel to the ground. Jump off the ground with both feet. Make sure your knees are bent when you land back to the starting position. Start in a stable plank position, trying to hold your hips in line with your back (no drooping!) Put your feet shoulder-width apart for the secureness. Holding kettlebells with both of your hands, put one hand up. Slowly put it down to get back to the starting position. Alternate sides with minimal rotation. Make sure the kettlebells or dumbbells you picked are stable and secure enough for you to put your hands on and to pick up while staying in a plank position! Start in a lunge position, both knees forming a 90-degree angle. Squeezing your glutes, jump off the ground and land in the opposite lunge pose. Pick up a kettlebell of a safe, yet a bit challenging weight. Take it with both hands and initiate the swing with your hips (legs slightly bent). While getting up, raise the kettlebell up with both of your hands. Squeeze your glutes on top of the swing.